Madurai is widely recognized as the temple town of Tamil Nadu and it is filled with cultural monuments all over the place. This beautiful destination is popularly known as “Athens of the East”, “Mammadurai”, “Kadambavanam” and much more. At present, Madurai has become a modern and industrial city with a vast number of automobile, dyeing, handloom industries established in and around the place. With the main aim to help out the people, the industries in Madurai conducts many fairs, exhibitions, art galleries, technical fairs and so on. The Madurai District Tiny and Small Scale Industries Association (MADITSSIA) play an important role in contributing great revenue to the city by conducting various technical fairs and exhibitions once in a year. Established in 1974, MADITSSIA is the registered body of Tiny and Small Scale industrialists which enables to offer solutions to various issues and problems linked with the small scale industries. The main objective of the recognized association is to promote and protect the small industries in the Madurai district. The MADITSSIA has taken great initiatives in organizing the Print-n-Pack, Printing and Packaging Fair during the year of 1996. Moreover, the exhibition is conducted once in two years and the active members of the committee strive hard for the success of the fair. It is mainly hosted to develop the Printing and Packaging sector of the areas of Madurai district to a great extent. Further, the 7th edition of Print-n-Pack was organized on the Gandhi Museum Grounds that was held under the leadership of a Chief Member Shri.Rm.Lakshminarayanan. The committee members developed new infrastructure facilities in the new venue enabling to offer a comfortable space to the companies. 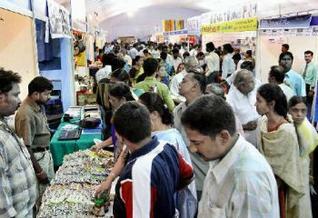 Few reports have estimated that the exhibition was occupied by 100 stalls and 86 companies displaying their products. The printing machinery manufacturers of various cities such as Coimabtore, Chennai, Thanjavur, Dindigul, Trichy, Kumbakonam and Sivakasi have participated in the technical fair. The Print-n-Pack exhibition is organized with the full support of Ministry of MSME & MSME Development Institute, Tamil Nadu Industries and Commerce Department and National Small Industries Corporation Limited. It is believed that this type of exhibition will help the mini offset and Offset Printing industry to establish more printing industries in the city. In order to develop and create a strong platform for the engineering industries, MADITSSIA has been conducting the INDEXPO from the year of 2008. People should know that the exhibition usually takes place on Tamakkam Grounds once in two years. The exhibition offers a wide range of electrical products such as Fabrication Machineries, Industrial Automation, Machine Tools, Electric Power Tools, General Engineering Products, Non Conventional Energy Sources and much more. Added to this, the engineering machinery manufacturers and other machinery manufacturers from all over India display their electrical products in the industrial exhibition. 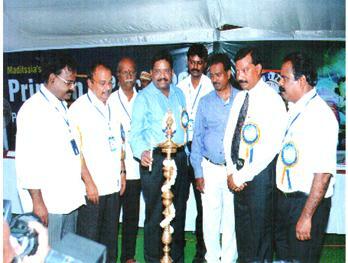 Recently, the INDEXPO was conducted on 4th February, 2011 in which it was inaugurated by TANSTIA President Shri.K.Thangaraj and Shri. A.V. Varatharajan. A team of dedicated members was appointed by MADITSSIA to control the overall administration of the industrial exhibition. Various seminar programs were conducted in the exhibition and the organization members spoke about the topic “Modern Quality Concepts for Performance Excellence” in the MADITSSIA Hall. The Madurai District Tiny and Small Scale Industries Association has been hosting various industrial exhibitions and consumer fair Ideal Home Exhibition for the past 25 years. On February 2011, the district association organized a big exhibition on the Tamukkam Grounds in which 300 companies have participated in the fair. The Ideal Home Exhibition offered various useful products that include household equipment, modern furniture, handicrafts, fitness equipment, electrical & electronic products, exercise & fitness equipment, quality food products, etc. It was chiefly inaugurated by Mr.A.M.S.G.Asokan, Managing Director, Arasan Fire Works and Shri.C.Kamaraj, I.A.S.,District Collector, Madurai. Special games, cultural programmes, lucky draw and amusement parks have been created to attract the kids and visitors.